I want to share with my followers a very disturbing finding. When I pulled up my book on the Amazon website last month, I found out that 3rd party sellers were selling my $14.99 book for hundreds of dollars! I called Amazon for assistance and was told they could not do much about it. There have been about 20 sellers, selling 3 versions of my book (2012, 2015 & 2017) from $12.13 up to $298.69!!!! First of all, no one should be purchasing the 2012 or 2015 version of my book. The newest edition is the 2017 that should only be bought through Amazon here. I am very annoyed that these 3rd party sellers are jacking up the price and I’m not even sure the purchaser will even receive my book! I’ve emailed each of the sellers and asked them to remove my book from their list. Most of them obliged and the rest I’ve had to report to scamsellers. There are still about 4 of them who haven’t been removed, but I am still working on it. Please be aware and do not purchase through any 3rd party seller. Sorry for the inconvenience! Only order “A Widow’s Pursuit” through Amazon for $14.99! I’m a firm believer that we need to do whatever we must to get through grief. This means, on Valentine’s Day, not to care what other people think on whatever you decide to do! You may want to stay at home or you may want to volunteer somewhere. This article gives some good ideas of other ways to get through the day. You may want to honor your loved one and make it a Valentine’s tradition! This article “How to Survive Valentine’s Grief” shares some very good tips on how to cope your way! This is a great way to meet other widows who understand the GRIEF that goes with widowhood! Please visit Ferree’s website “Widow’s Christian Place” for more information on the retreat at Sandy Cove Ministry Center in North East, Maryland. Sandy Cove Ministries is putting on a retreat, stating that this is…..
“A weekend for women of any age who are WIDOWS and at any point in their journey. If you or someone you know and love is struggling through grief this holiday season, there’s still time to order my book by Christmas! Watch the video here…. As a widow in shock, I initially clung to my faith and was filled with God’s peace. When the shock wore off, reality set in, and I was overwhelmed with unfamiliar feelings. I filled the void and numbed my pain with harmful behaviors. By neglecting my children, a consequence followed, jolting me to wake-up to my responsibilities. I finally surrendered to God and asked for His forgiveness and help. As my faith grew and God led me through grief, my heart healed, I let go of the past and comfort came back into my life. Once I accepted my loss, I awakened to a new life of being a single mom and contemplated new dreams and goals. Struggles still persisted, but I was diligent to pray for guidance to follow God’s will for my family. With God’s grace, hope came back as I experienced more purpose and joy than I ever thought possible. This is my memoir of being an irrational, 34 yr. old widow, with young children, and how I learned to pursue my faith to overcome grief. Consequently, I discovered an amazing life after my loss. By sharing my story, I hope to help other widows and those struggling through grief. My story “A Serious Back Injury” is included in this book of testimonies. (Page 122-124) These stories can strengthen your faith and inspire you to trust God during times of sickness or injury. For the entire month of November, the ebook version of I Believe in Healing: Real Stories from the Bible, History and Today is on sale for 99¢ at most major online vendors. This book from Cec and Twila is a one-of-a-kind collection of stories that demonstrate God’s healing power. This may be a Christmas Gift idea for someone who is struggling with sickness or injury. Price will increase tomorrow to $5.99 and then to 7.99 before it goes back to regular price of $9.99. 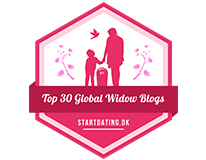 My website, “A Widow’s Pursuit”, has been selected for the Top 30 Global Widow Blogs. Please share this with others who are widowed and need to know they are not alone. 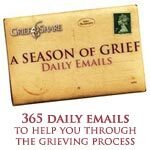 These top 30 blogs are from other widows who want to share their grief journeys with others in widowhood to provide them hope. I was widowed at 34 years of age, with 2 young daughters, 6 and 7 years old. After raising my daughters, and pursuing a second career, I've recently remarried and wrote a book on my grief journey and beyond. My purpose for writing my memoir, "A Widow's Pursuit", is to encourage other young widows, that life goes on as we make new and joyful memories. We all have a different grief journey but we can help and encourage each other to persevere through grief and pursue new dreams!